The Argossey re-writes The Odyssey through the lens of Odysseus’ dog, Argos. It introduces an alternate time scale and new considerations of loyalty to the epic. 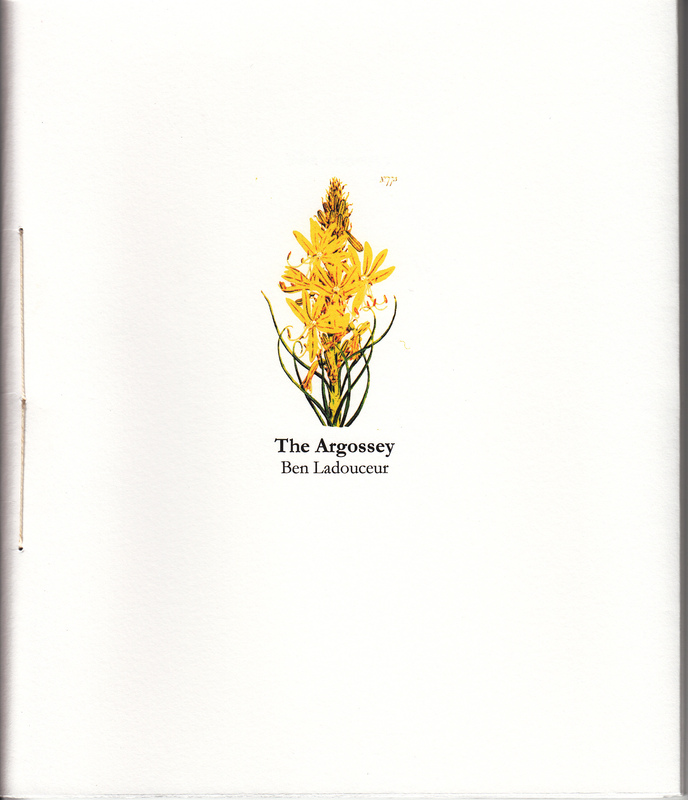 Ben Ladouceur, soon-to-be-temporary-Ottawa-ex-pat, continues to refine his careful poetic in this accomplished, twenty-four “book” poem.